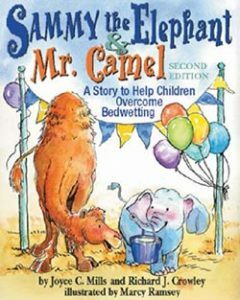 Books about bedwetting (nocturnal enuresis). 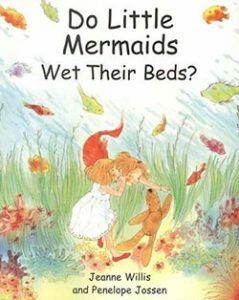 Many children wet the bed at some point. 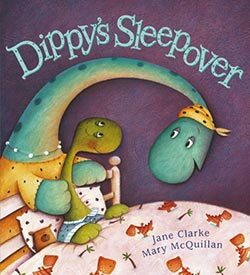 These picture books seek to reassure and inform children that are affected by it. 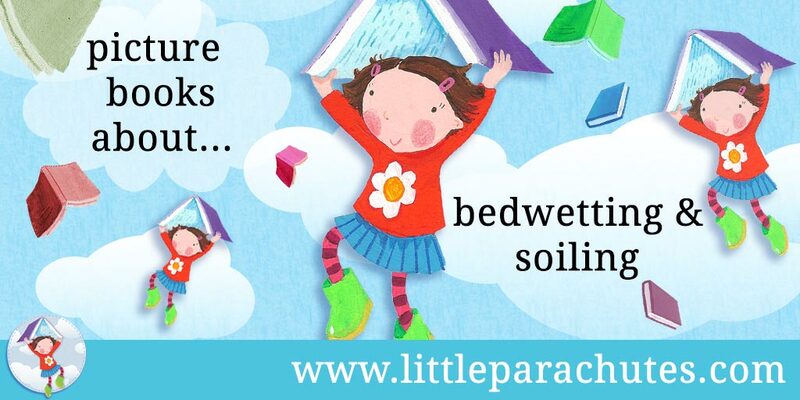 Most of the books reinforce the message that bedwetting and soiling is nothing to be ashamed of. Anxiety and stress can sometimes be a contributing factor to bedwetting. 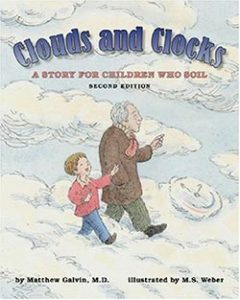 This book gently explains that when children stop worrying, the problem can sometimes resolve itself. Provides encouragement and support for children trying to overcome bedwetting, and acknowledges the emotions associated with this. Reassuring children that bed wetting is normal, and gently preparing them for a night away from home.